How to Seamlessly Combine Offline and Online Marketing ? kaburulu / November 20, 2018 / Comments Off on How to Seamlessly Combine Offline and Online Marketing ? Successful marketing does so much more than tell its viewers a message – it makes them feel. It builds a relationship with them by using visuals and narrative to create a story that resonates with the viewers. Perhaps that story is as simple as “Hey, do you remember when you had this problem, and how frustrating it was? Well here is the solution.” Other advertising campaigns are more emotive. Take Coca Cola’s Christmas advertisements. They rely entirely on nostalgia. Their goal is to make you feel the Christmas spirit and, hopefully, buy their drink in an attempt to bring that emotion into your day to day life. Regardless of what your narrative is or what your goal is, you will need to come up with a unique way to combine both digital and physical marketing efforts. People exist both online and outside of it, and by creating a pervasive narrative that is seamless and easy to interact with on both fields of reality, you can build a strong relationship with them. Marketing is relationship building with people you will not see face to face. You create a feeling that your demographic will then act on, but it is a mistake to think that one advertisement will do the trick. Sometimes people need to be introduced to a company multiple times before they put in the effort to look into you further, which is why blending both traditional and digital marketing is so important. For most, your goal will be to achieve more sales. For others, it will be brand awareness or reputation management. The fact is there are many reasons to market, and only when you narrow your focus on your specific goal can you come up with a smart strategy that will succeed. You can all too easily miss your mark if you don’t put effort into demographic research. You need to know how to connect with the people you are advertising to. You need to know what phrases and jargon they use. You need to know about their cultures and what they value. Only then can you create a narrative that will resonate with them, both offline and online. Copy-pasting your advertising campaign is a huge mistake. You need to tailor each ad so that it gains maximum impact. A Facebook ad should look different than an Instagram ad. A billboard should be different than a banner on the subway. Format and shape will change what you can say and how you will say it. Traditional ads, in particular, need to make sense in their context. You will get a lot more attention from an ad outside a bus stop if it acknowledges its placement. Say you are a travel site – remark on the fact that most people sit in bus stops to escape the cold or rain, and that you have many sunny destination options ready for them to choose. Have an easy link for them to go to, and then entice them further. Have a quiz on which destination is the right medicine for their winter blues, and then take them to your travel site from there. These location-based ads are important, so put extra effort into engaging with people. When you know where your demographic is and what apps they use, you can narrow your efforts in ways that will see a healthy return on your investment. Say, for instance, your company’s demographic is busy mothers. By putting up outdoor banner stands along with their commute, and putting a simple answer to a day to day problem they have you can expect a fair share of those who see it will respond. You are, after all, a company they see on a regular basis. If you can somehow make their commute to their child’s school easier, then chances are they will try it out. Have a special discount code for those who see your banners, and you can even track how well placed yours are for future reference. From having social media tags to even a QR Code to make it easy for people to visit your site after seeing your ad. Putting your traditional ads in places where people need to wait, say a bus stop, will actually improve the chances that they will check out your site out of curiosity. If it is difficult to find you online or is in any way difficult to switch between platforms (even from social media to your website needs to be smooth and easy), work on improving the experience from the ground up. Millennials and their younger counterparts love to be a part of something. It is why pop-ups are so popular, why you will now have exhibits that deal entirely with promoting the “selfie-culture”, and why a lot of events and brands will use exhibition marketing to bring people to where they want them to be. You can do this too, but remember you will need to advertise the exhibit itself, and not just your brand for it to be a success. Once you get people in, have them share their photos publically with your hashtags and by tagging you in it. This sort of word-of-mouth marketing is priceless, but first, you need to get people into the door. Technology is powerful, but you will never beat the power of a good old traditional ad someone can come across on their commute. So long as people are looking in that direction chances are they will read what is there – it’s just natural. Most tech-savvy adults today have become incredibly good at ignoring online ads, but love to engage with fun tech and programs. 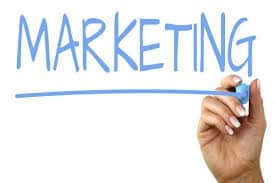 Combine this knowledge and create a cohesive advertising campaign that draws on the power of both offline and online marketing spheres to connect with your customers.